David Rockwell designed a place Hollywood dream hotels Archi-new - Free Dwg file Blocks Cad autocad architecture. Archi-new 3D Dwg - Free Dwg file Blocks Cad autocad architecture. 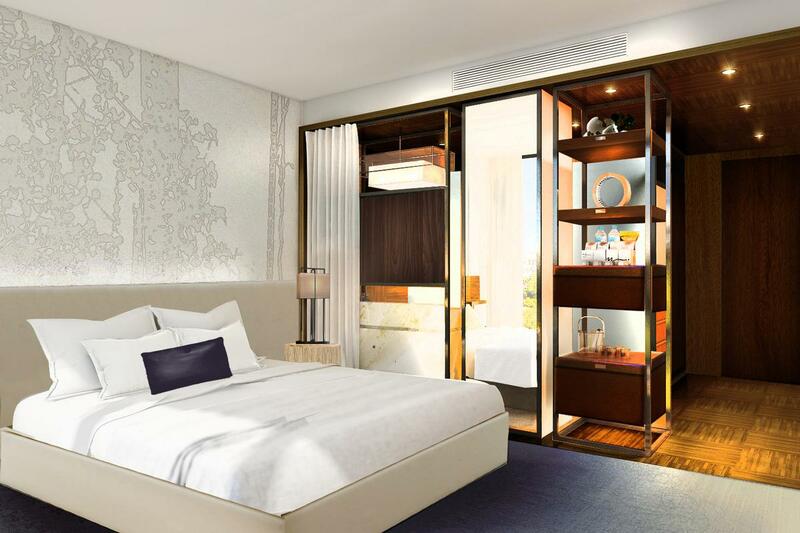 David Rockwell’s design studio have revealed the first renderings of the “playfully sophisticated” Los Angeles hotel they are creating for boutique operator Dream Hotels. 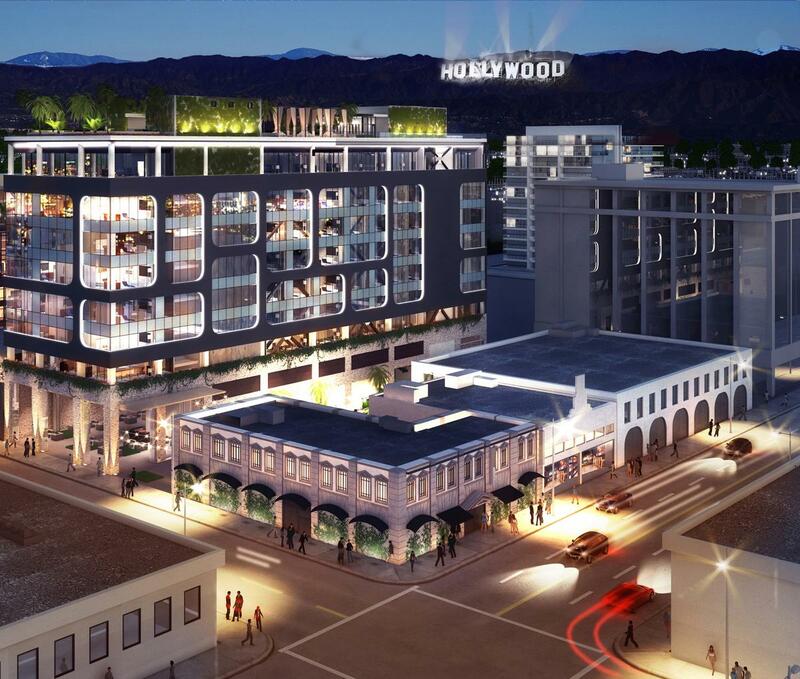 The 179-room Dream Hollywood Hotel, located on the city’s Selma Avenue, will open in Q2 2016. The building’s architecture and design – created by the Rockwell Group – celebrate the mid-century modern architecture of Hollywood and LA and are partly inspired by the work of Austrian-American modernist architect Richard Neutra. 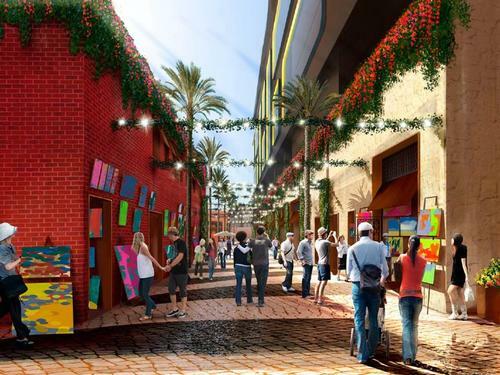 An 11,000sq ft (1,000sq m) rooftop destination will include space for dancing, dining and lounging and feature a retractable roof designed to maximise views of the iconic Hollywood sign and skyline. 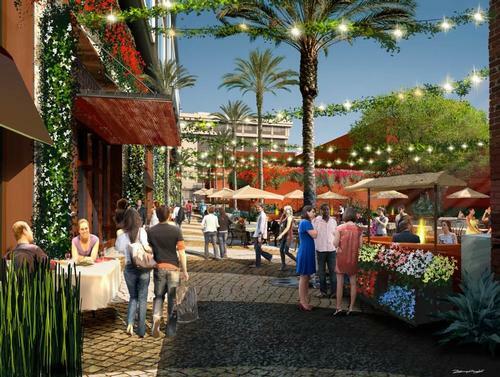 The roof will also house a swimming pool, cabanas and a secret garden cafe. Architecturally, the hotel will echo surrounding Californian hillside residences and feature a visual connection between the indoor and outdoor areas. 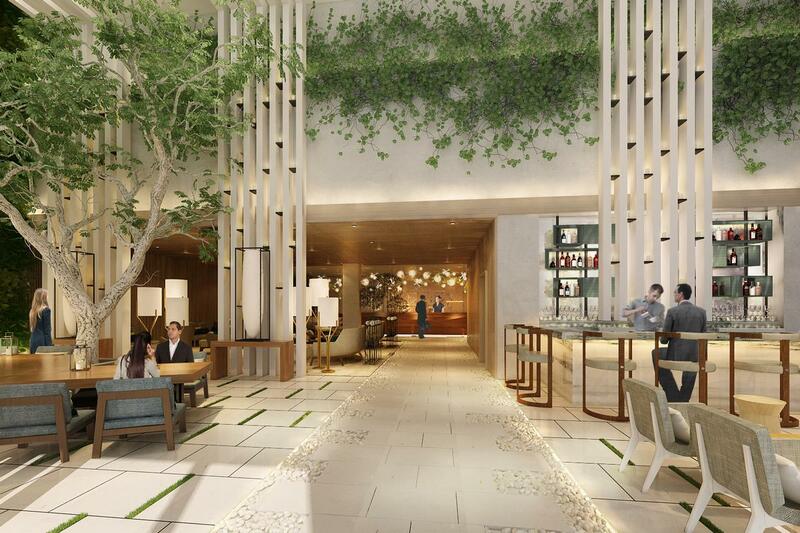 The lobby will be a light-filled, double-height space leading to a public landscaped pedestrian alley, and a garden path illuminated by light projections will guide guests from the entrance to the check-in and concierge area. Strips of grass will be set between stone tile flooring and interiors will feature trellis-inspired dividers interspersed with candles. Guest rooms will carry two colour schemes – one inspired by sky and water against a desert backdrop and one reflecting the colours of a LA sunset. 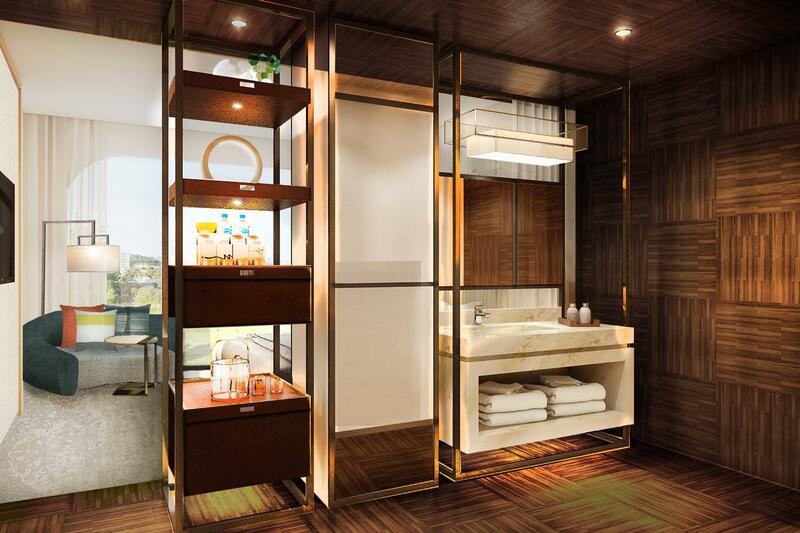 “We are energised by working with Rockwell Group, a design team that complements our creativity and eagerness to deliver a never-before-seen product,” said Vikram Chatwal, vice chair of Dream Hotel Group. “Since we first conceived the Dream Hotels brand, we worked to craft a sensory experience for guests. The Rockwell Group is known for its eclectic designs for projects as varied as restaurants, public light displays, theatre sets and airport lounges. In an exclusive interview with CLAD featured in issue 2 of CLADmag, Rockwell said his choice of projects and approach to design have always been driven by curiosity. “For me, design is about constantly recreating an environment in which you’re willing to not know the answer,” he said.